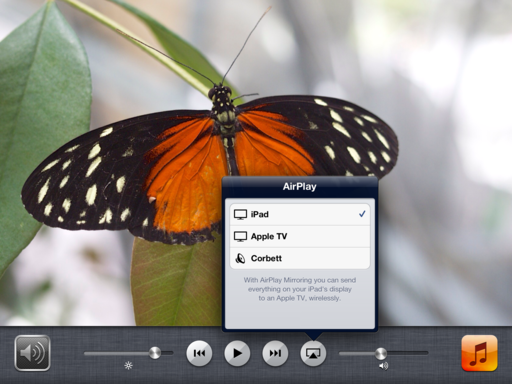 You can stream from iPhoto on your iPad to your HDTV via Apple TV. 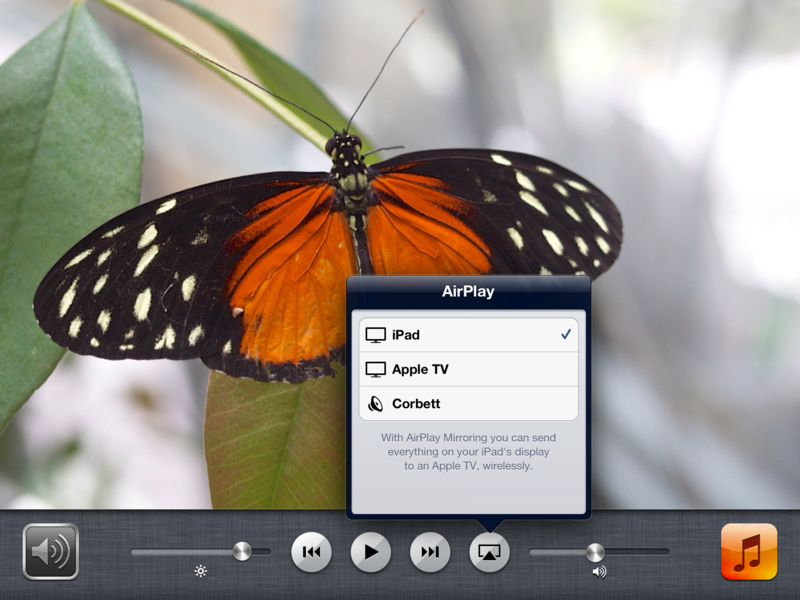 The trick is to reveal the hidden AirPlay button while working in iPhoto. 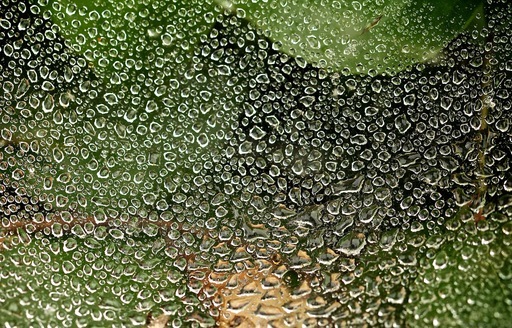 First, make sure that "mirroring" is enabled in iPhoto for iOS. You can check by going to the Albums page, clicking on the gear menu in the upper right corner, and sliding the "ON" button for "Mirror on TV." Then double-tap the home button to reveal all the apps that are currently active in the Dock. If you swipe the dock to the right, it will reveal your media controls, as shown in the illustration above. Tap the AirPlay button, choose "Apple TV," double-tap the Home button again, and iPhoto for iOS will be mirrored on your HDTV. Now you can share images with friends and play slideshows on your HDTV directly from iPhoto. And since Apple TV is so portable, you can easily pack it in the suitcase when traveling on vacation. You can find more photo tips and "photography how tos" on my Pinterest page. When Apple released the new MacBook Pro with retina display, they also updated Aperture and a handful of other applications to take full advantage of the dense pixel LED monitor. No doubt about it. Aperture looks fantastic on the new MBP. But what about Lightroom 4.1? I've seen comments on the Internet ranging from "My images now look horrible" to "Lightoom looks gorgeous on the new MacBook Pro." Obviously Adobe will update Lightroom for the retina display. But in the meantime? Well, let's take a quick look. Lightroom 4.1 on a MacBook Pro retina display. Click on image for larger version. Photo by Derrick Story. 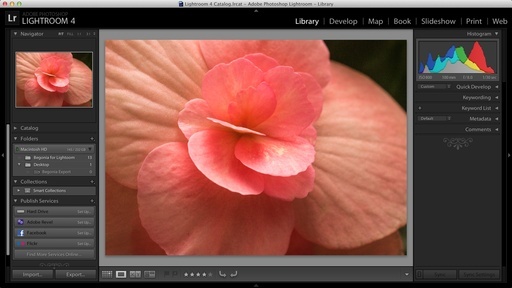 Lightroom's interface and rendering of images look absolutely fine on the new MacBook Pro retina display. The type is clean and the rendering of the images is accurate. The interface icons will have to be updated with more resolution for the next version, but if I didn't point that out, you probably would have never given it a second thought. 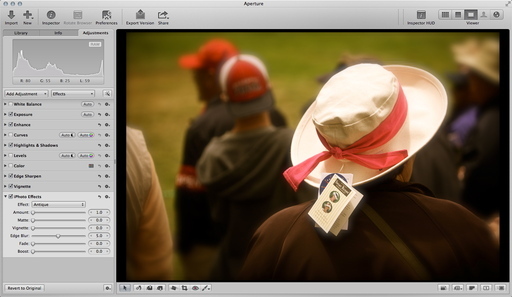 By comparison, here is a screenshot of the Aperture 3.3.1 interface on the retina display. Aperture 3.3.1 on a MacBook Pro with retina display. Click on image for larger size. As you can see, Aperture 3.3.1 looks really good on the new MacBook Pro. Image has wonderful detail, icons and typography are very crisp. My favorite way to compare these screenshots is to download them, open both in Preview, then toggle back and forth between the images. That will help you see the subtle differences. And keep in mind, the monitor you're viewing these images on will influence your perception of them. If you're a Lightroom 4 user, I would not delay getting a new MacBook Pro with retina display. This MBP is the best laptop I've ever used, for photography and otherwise. Lightroom looks great now, and will probably get only better with version 4.2. And if you're an Aperture user... well, the upgrade is a no-brainer. Have an older flash that you really like, but it just doesn't fit with your new camera gear? 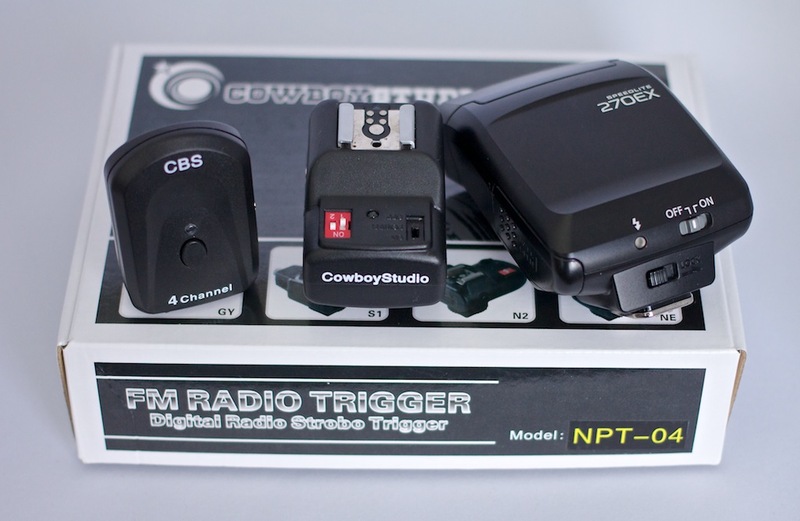 For less than $25 you can use that light again with the Cowboy Studio Wireless Hot Shoe Flash Trigger/Receiver kit. It brings wireless flash photography to just about any flash/camera combination. In my case, I have a cool little Canon Speedlite 270EX that isn't much bigger than a deck of cards. I hadn't been using it because it doesn't have the wireless capability of the newer Canon Speedlite 270EX II flash. So in a drawer it sat. Thanks to the Cowboy Studio radio trigger set, however, I'm now carrying the 270 EX in my "bum around" backpack and using it with the new Olympus OM-D E-M5 camera. This rig also works with my Canon 5D Mark II, which doesn't have a flash or a flash trigger built in to the body. 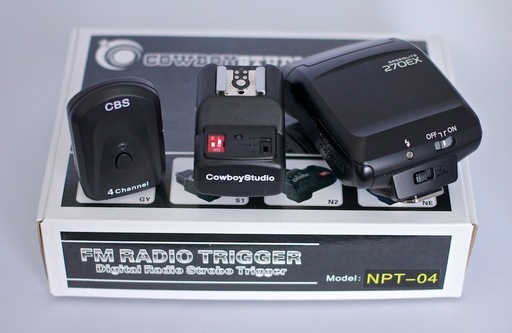 The Cowboy Studio trigger operates on a 433 MHZ radio frequency and has four different channels. You can use shutter speeds up to 1/250th of a second with the kit. The receiver uses 2 AAA batteries and the transmitter includes a 23A, 12V battery. The kit is light and compact. And it works great. There's even a PC socket on the receiver. What you don't get is ETTL capability. In other words, no dedicated flash. For some, this may be a deal breaker. But I've been using manual flash most of the time anyway. With digital cameras, where you can check your results immediately on the LCD, it really isn't a problem. I'm having a blast with the Cowboy Studio Wireless Hot Shoe Flash Trigger/Receiver kit. It's great knowing that I have off-camera flash capability with just about any camera/flash combination in my bag. 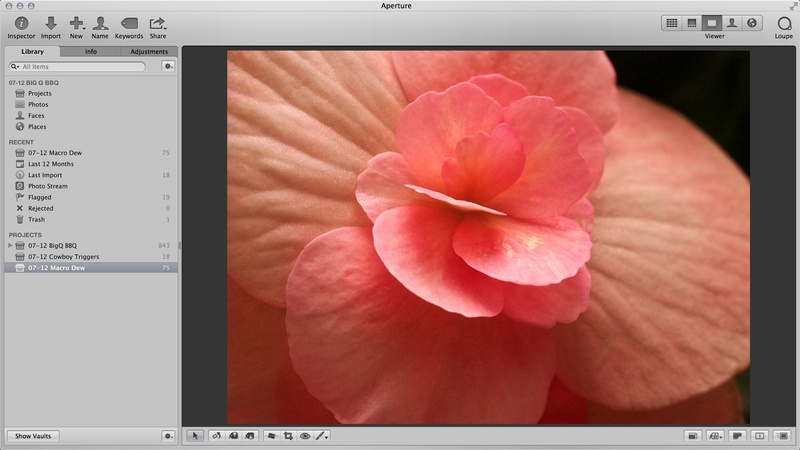 The Effects panel from iPhoto has found its way into Aperture's Adjustments tab. It's a bit like the new roommate who brings his HDTV along with the move in to the apartment. He'll also bring a few things that you're not crazy about too. Edge Blur is one of new iPhoto tools that I like. Plus, in Aperture, it's easier to use. I like to apply Edge Blur to throw the background out of focus to direct the viewer's eye to the main subject. When used with restraint, it can be very effective. Other bonus effects that I like include the Antique filter and the Fade slider. For this image captured at the U.S. Open in San Francisco, I played with Antique and Edge Blur. I'm not as wild about some of the other iPhoto Effects, such as Matte and Vignette. We already have more elegant versions of them in Aperture. But like the roommate with the HDTV, you get the cool along with the unnecessary. You can enable iPhoto Effects via the Add Adjustment popup menu in Aperture's Adjustments tab. Once you do, they'll appear as a new adjustment brick, as in the screenshot above. Some of them are fun. Take a look! Canon's latest EOS Rebel T4i may look similar to its predecessor, but inside it represents Canon's effort to keep up with today's generation of photographers. 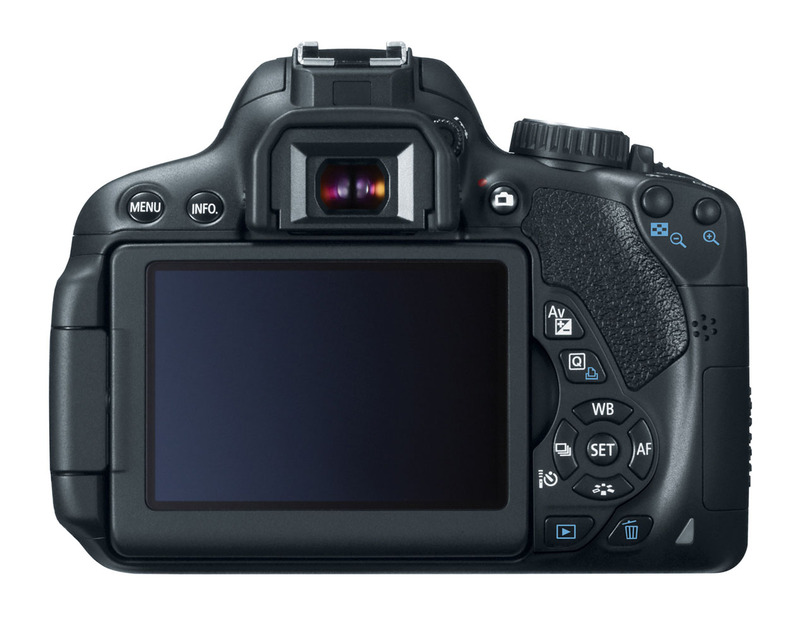 "The EOS 650D is a successful attempt to blend the experience of the best point-and-shoot features with the creative freedom allowed through traditional DSLR technology. Canon has decided to use improvements in live view, focusing and video shooting to meet these new goals. The improvements made to the Rebel series with the 650D/T4i say a lot about Canon's goals for the future of consumer-level cameras." A great example is the new touchscreen on the 4Ti. 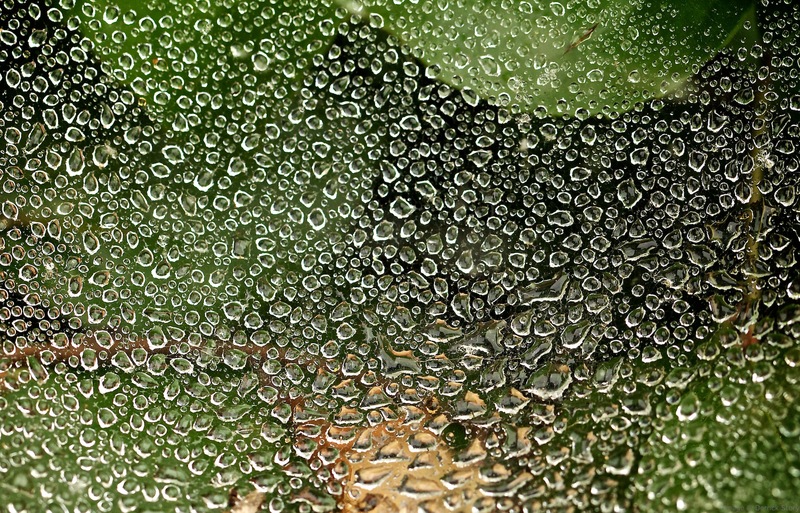 It is similar to what we used to on our smart phones in the sense that it's sensitive to contact, not pressure. This more responsive experience will feel natural for those making the transition from an iPhone to their first DSLR. Another example is subject tracking and continuous autofocus in movie mode. It's what "we want" the camera to do while recording video, and therefore the device feels more natural to use. I'm not saying that you should sell you 5D Mark III and buy a 4Ti. But for less than a $1,000, photographers can purchase a camera that is truly state of the art, and represents a path that many will be traveling as photography continues to evolve. 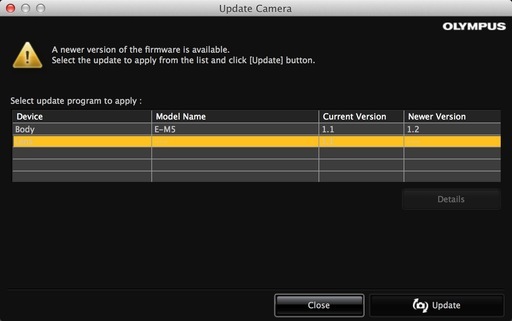 There are a few basic steps to make Olympus firmware updates smooth and easy. 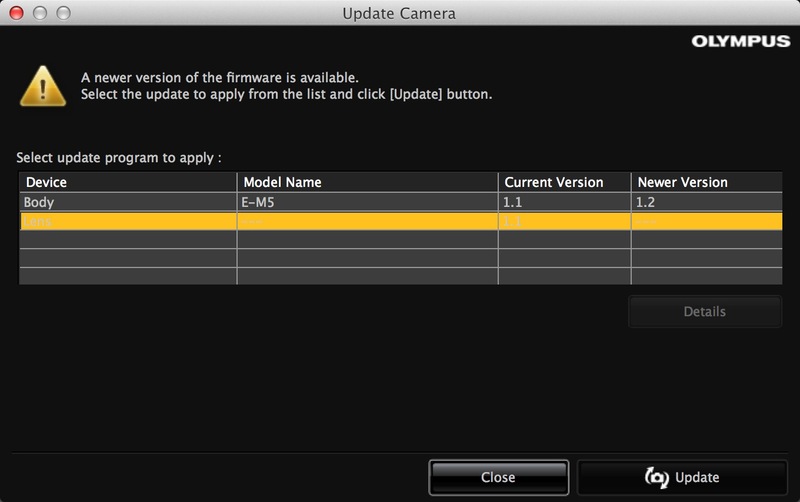 If you have the new OM-D E-M5, firmware v1.2 is available. It improves the camera's performance when waking from sleep, and it displays the tracking focus point when shooting at low-speed continuous drive. 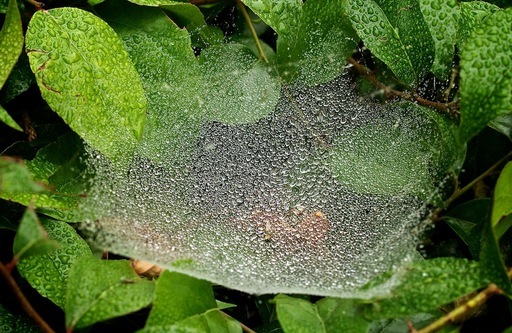 The most important aspect for many of us is the waking from sleep improvement. Here's a basic walk-through to get your camera up to snuff. There are two ways you can update camera firmware: 1) Using Digital Camera Updater or 2) via Olympus Viewer 2. Both should be residing in your Applications folder if you installed the bundled software for your camera. I use both, but am going to cover the Olympus Viewer method today because it has its own update. If you don't care about maintaining Olympus Viewer 2, you can launch Olympus Digital Camera Updater, and proceed to Step 2. If you haven't installed the Olympus software on your computer yet (including Digital Camera Updater), do so first. I think it's good to keep Olympus Viewer 2 up to date because it comes in handy for checking Raw decoding, updating cameras, etc. In Olympus Viewer 2, go to Camera > Update Camera, it will let you know that you need an update. Do so. And be prepared to restart the computer afterward. Now that your computer software is up to date, you can apply the new firmware to the camera. Connect the OM-D via its USB cable and turn on the camera. It will ask you to select a connection mode. Choose "Storage." In Olympus Viewer on your computer, go back to Camera > Update Camera. The software will check the firmware for both the camera body and the lens. It will then list the available updates. Run the update for the camera first, and if necessary, the lens too. Be sure you have a fresh battery. And do not unplug the camera from the computer until the big "OK" appears on the camera's LCD screen. Since you have everything set up, you may want to check the firmware on any other Olympus lenses you have. Simply attach the lens to the camera, and run the firmware update as previously described. I just updated a number of lenses that I hadn't checked in a while. Firmware v1.2 did improve the waking from sleep for the OM-D. I recommend that you update yours when you have a few moments to do so. If you're interested in rounding out your micro four thirds kit, take a look at the The Olympus Micro Four Thirds Gear Guide. I recommend camera bodies, lenses, accessories, and even camera bags to help you design the perfect kit for you.